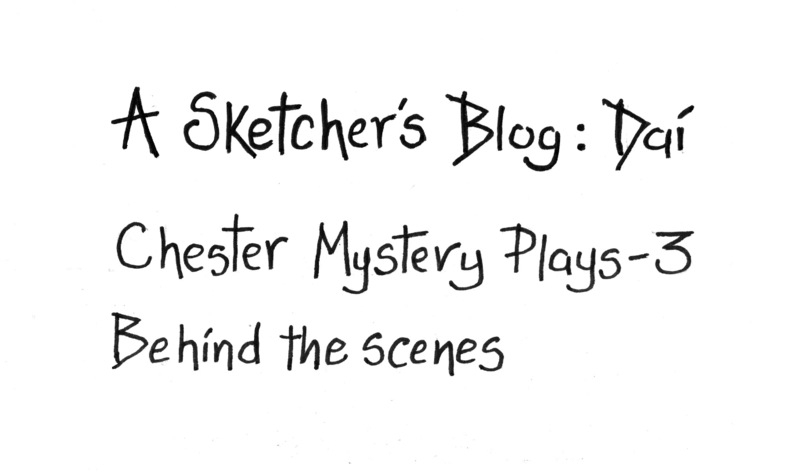 Chester artist Dai Owen shares his final instalment in his Chester Mystery Plays series of blogs. He looks at what was going on behind the scenes during this epic event, staged at Chester Cathedral this summer. Dai will be back with more blogs in future, looking at different aspects of life in Chester. For more of Dai Owen’s work, check out his website here and his entry in the Directory of Illustration.